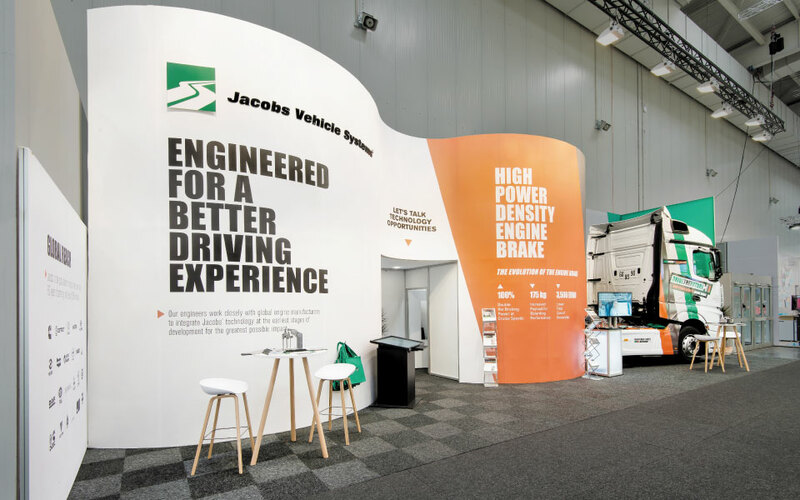 Jacobs Vehicle Systems is a leader in the engine braking industry in the United States and also a trusted global partner by the world’s best-known engine manufacturing brands. 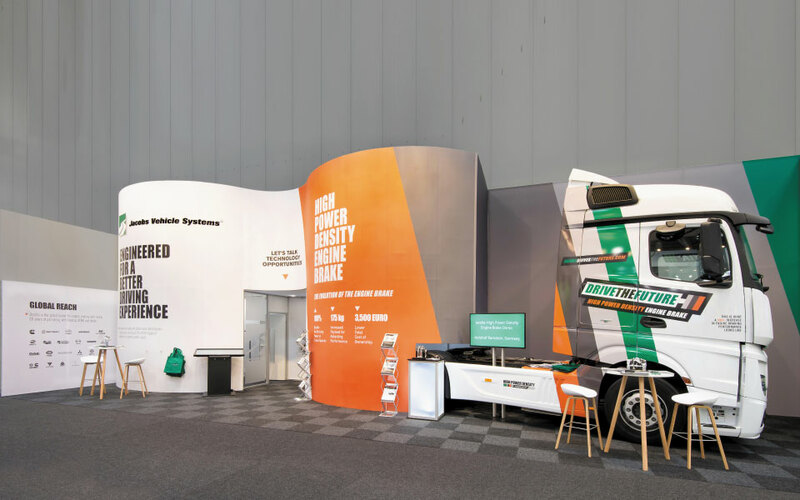 At the IAA Commercial Vehicles Show in Germany, they displayed their braking systems in a 6-meter x 15-meter custom rental booth. 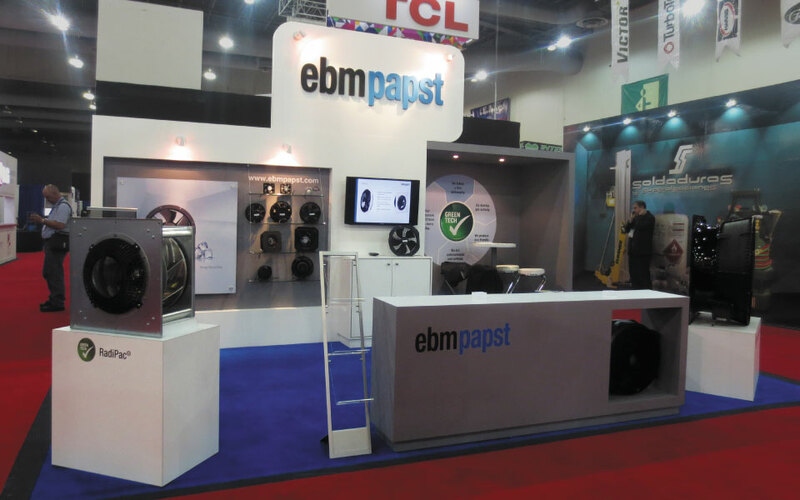 An actual vehicle equipped with the Jake Brake system highlighted the booth space. 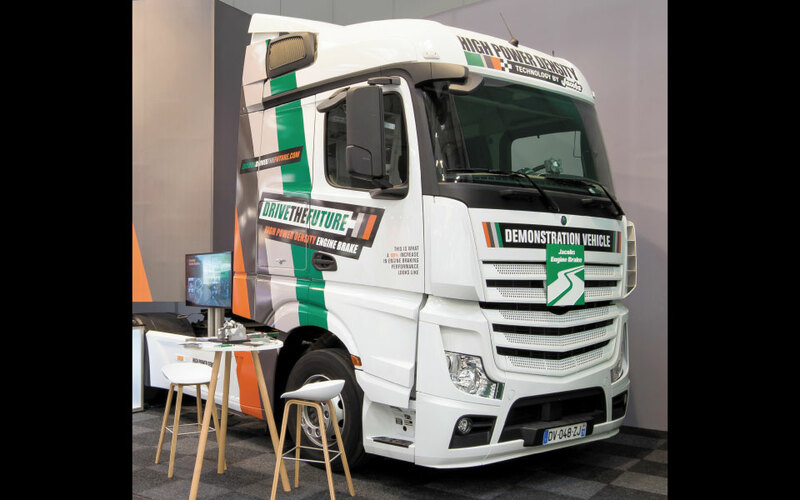 During the exhibition, the vehicle showed typical vehicle installations, while after the show the test vehicle performed live demonstrations. 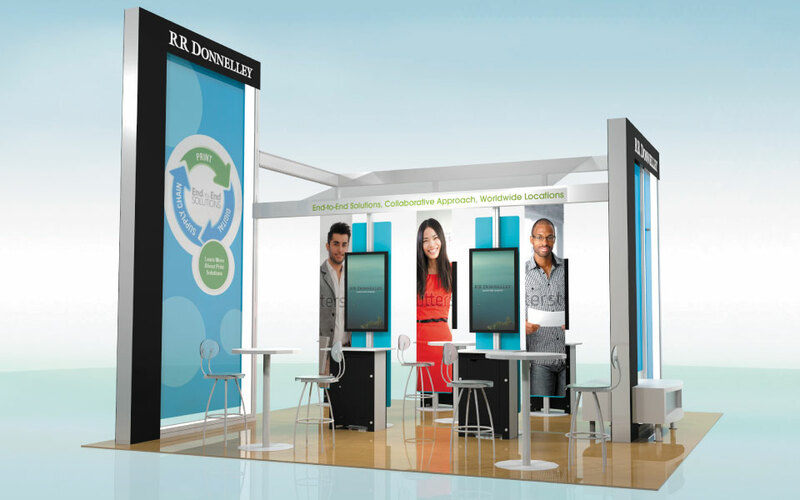 The exhibit structure consisted of a 6-meter tall curved wall which housed two private conference rooms with ample branding space. 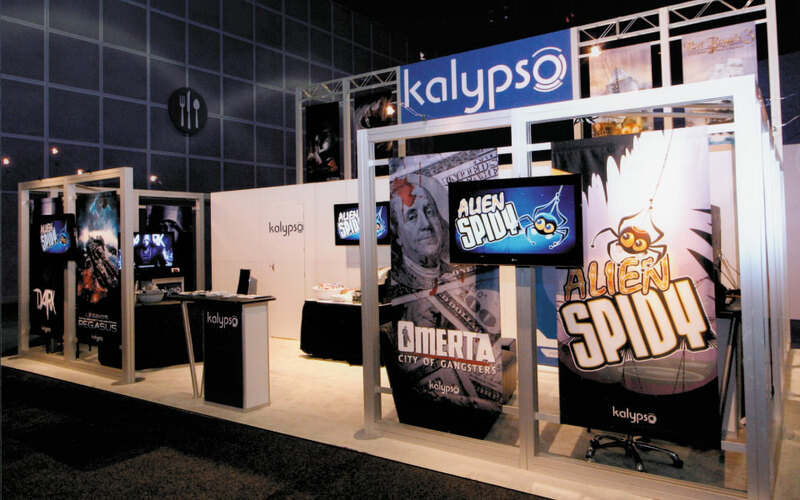 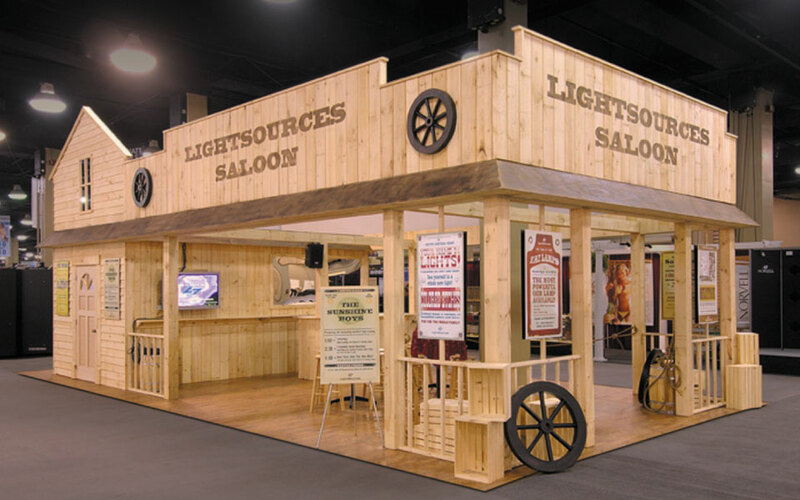 The booth structure and vehicle graphics coordinated to create a cohesive unit. 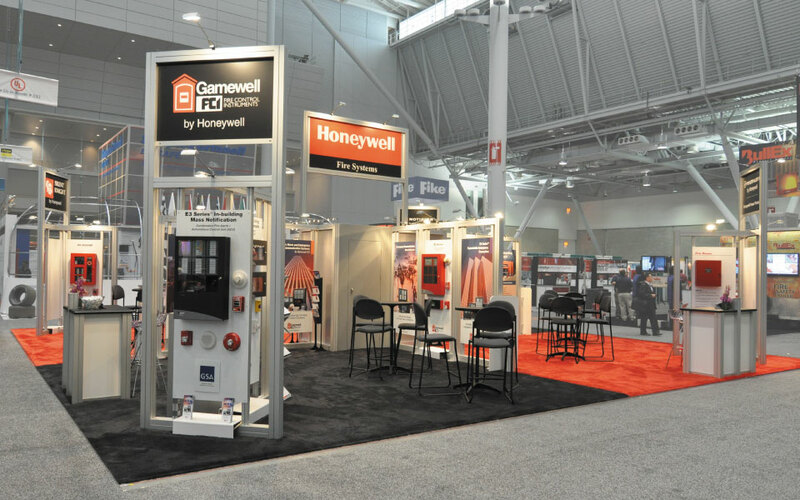 Product models and literature along with a presentation area and touch monitor all provided additional information to experience Jacob’s brand.